Every Muslims around the world is excited about the arrival of month of Ramadan this year as well. only 2 days are left in Ramadan 2012. In Arab Countries Ramadan will begun On Friday. Preparations are already started in homes for Ramadan. Its a blessed month in which Muslims fast and tries to do maximum good deeds and avoid bad deeds. In Pakistan Ramadan 2012 is expected to start on Saturday 21st July 2012. 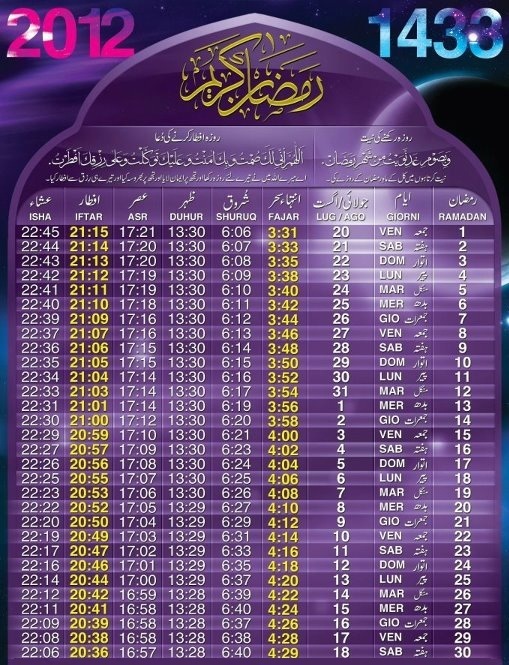 Following is Ramadan Calender for Pakistan.